MITT ROMNEY has just learned an age-old political truth about conducting a Rose Garden campaign. It really doesn’t work if you aren’t president. For months, as most of his rivals have been going flat-out, Romney has run a tightly controlled campaign of strategically limited appearances and pronouncements. Now, with Newt Gingrich having caught the Tea Party trade winds, Romney is scrambling to chart a new course. He’s deploying surrogates to point out Gingrich’s shortcomings, taking more press questions, stepping up his own campaigning, and preparing to end a 21-month absence from the Sunday interview shows by sitting down with Fox News’s Chris Wallace. Team Romney portrays that adjustment as a natural evolution, and the campaign high command as unruffled by the rise of Newt. Problem: The candidate himself has recently seemed both ruffled and riled, thereby undercutting the official narrative. The most discussed example is, of course, Romney’s tetchy, condescending tone during a recent sit-down with Bret Baier, also of Fox News. Before that, there was his heated exchange with Rick Perry during the Oct. 18 CNN debate. That episode triggered a long piece in the current issue of The New Republic examining Romney’s best-known temper eruptions - and pondering what precipitates his periodic penchant for perturbation. Was he mocked as a young Mittster? Is he so dedicated to decorum that he’s outraged by those who breach it? Or is he at heart an imperious CEO who brooks no challenge to his authority? Those matters are too cosmic for this earth-bound column to contemplate. But as a long-time observer of Romney, I’ve concluded that those episodes usually occur when he’s caught off-guard or rattled, which happens most often in encounters with the press. Not always, however. State Senator Fred Berry, Democrat of Peabody, recalls one storied State House incident, in May of 2005. Romney, then the governor, thought he had a deal that senators would back several of his amendments on stem-cell legislation. But that agreement fell apart at the 11th hour, depriving Romney of some hoped-for bragging rights. Berry, the majority leader, had a meeting with Romney on an unrelated matter shortly thereafter. How upset? “He was so mad his hair was shaking,’’ says Berry. That description may seem fanciful, but as someone who has experienced Romney in hair-shaking mode, I can attest that it does happen. So should Romney’s temper be a concern for voters? Simply put, no - not as a potential governing drawback, anyway. Temperamental outbursts can create problems if they drive talented people away or turn an important decision-maker’s inner circle into a group of eager-to-placate yes-men and women who tiptoe around a short-tempered boss. But Romney’s outbursts are the exception, not the rule. Indeed, one reason they attract notice is that they are so out of character for the normally mild-mannered manager. With his own team, Romney was usually gentlemanly, open to dissenting viewpoints, and easy to get along with. With his own team, Romney was usually gentlemanly, open to dissenting viewpoints, and easy to get along with. But to say that his occasionally eruptive temper isn’t a governing concern is not to say it might not become an election-year issue. 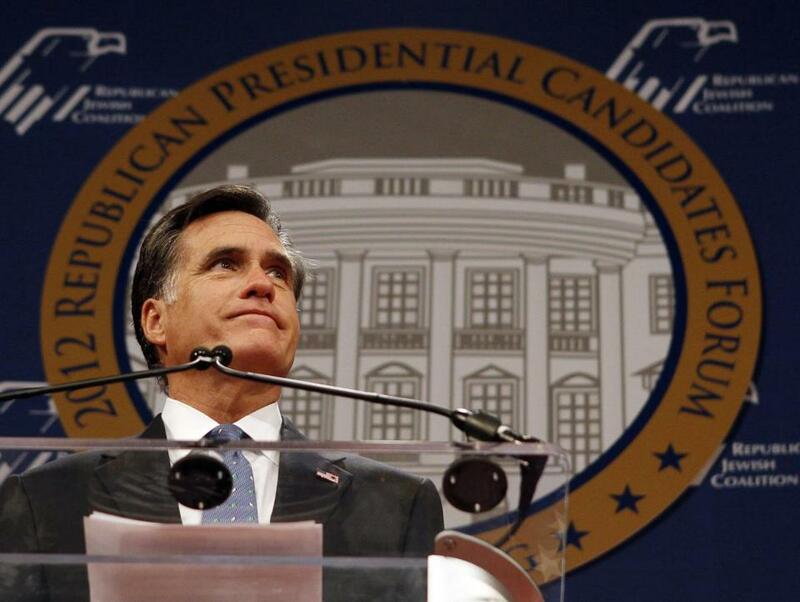 The carefully paced, tightly controlled public presentation Romney favors is a thing of the past. He now finds himself in a situation where he’s far less comfortable: Caught in the current of a fast-moving, pressure-packed, unpredictable campaign. Should he lose his temper, bark at a rival, upbraid a reporter, or explode at a heckler, the event could take on a life of its own. It takes a cool head to survive a hot campaign. And for all his other assets, composure is something Romney doesn’t always possess when the rapids get rough.